China this afternoon has released a series of satellite images that appear to show floating objects in the ocean northeast of Kuala Lumpur, Malaysia, and south of Vietnam that could be debris from missing Malaysia Airlines Flight MH370. The size of the objects would certainly be consistent with debris from an aircraft the size of a Boeing 777-200. China's State Administration for Science, Technology and Industry for National Defense said the three objects seen in the satellite images measured 43 feet by 59 feet, 46 feet by 62 feet, and 79 feet by 72 feet. 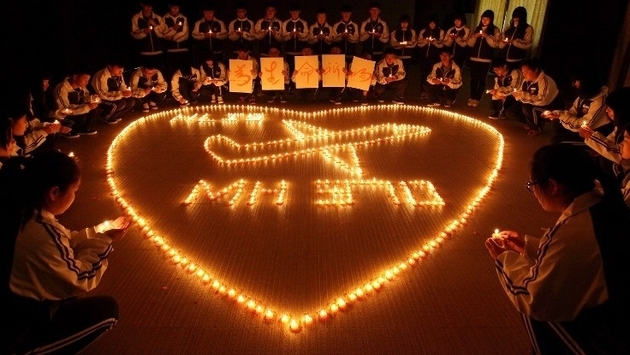 MH370 took off from Kuala Lumpur headed to Beijing on Friday night, March 7. The images from the Chinese satellite were taken Sunday, March 9. Though there have been false alarms in the last several days – including what was thought to be a life raft but turned out to be a cable reel – this is the most plausible lead so far. Here's a picture of the satellite imagery courtesy CNN.